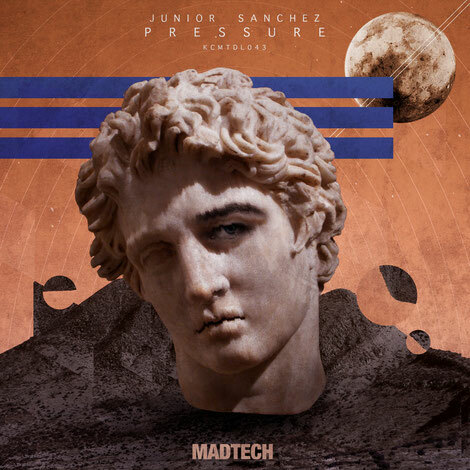 Junior Sanchez delivers his ‘Pressure’ EP via MadTech Records today, comprising two original tracks from the New York/Jersey DJ/producer. Euginio Sanchez Jr, better known as Junior Sanchez has quite the repertoire under his belt having been involved in house music for over two decades, starting to DJ at the age of 15 on his home turf and soon after launching his own Cube Recordings. Later he went onto remix the likes of Moby, Frankie Knuckles, Sven Vath, Louie Vega, Daft Punk and Madonna to name but a few and work with imprints such as Strictly Rhythm and Nervous Records. This time round he joins the roster of MadTech Records with a new EP. Kicking off with title-track ‘Pressure’, you’re treated to a classic drum workout with a crunchy distorted feel whilst murky low-pitched vocal murmurs, raw bass stabs and echoing vocal effects chop in and out of the groove. ‘Heart & Soul’ then closes out the package, a deeper counterpart to the opening track which focuses on dreamy filtered synth swells, rumbling subs and hooky vocal lines whilst Sanchez’ infectious rhythmic swing keeps things focused squarely on the dancefloor.